Do you have excellent credit? Are you looking for a card with a low APR and a flexible rewards program? If so, the Maximum Rewards Platinum Edition Visa may be a good choice for you. In this post, we'll explain the basics of the card and what makes it stand out among the competition. One of the best features of the Maximum Rewards Platinum Edition Visa is the flexible rewards program. With this rewards program, you will earn rewards with every purchase, but you get to choose the type of rewards you earn. For example, you might choose to redeem your points for free travel rewards, gift cards, merchandise, and much more. Best of all, your card is flexible to accommodate your changing reward preferences. You have a vast array of rewards from which to choose, so you can redeem your points for whatever you like. The Maximum Rewards Platinum Edition Visa comes with a variety of other features in addition to the excellent rewards program. For example, the card offer free online account management. Online account management allows you to view your transactions, pay your bill, and view your statements from up to seven years ago. The card comes with an unbeatable 0% APR on purchases for the first 12 billing cycles, and you will earn a hefty reward bonus upon making your first purchase within three billing cycles of becoming a cardholder. This card bears the Visa logo, which means it is accepted worldwide wherever Visa cards are accepted. Thus, if you have very good credit and are looking for a card with a flexible rewards program, you should consider the Maximum Rewards Platinum Edition Visa card. Would you like to earn big rewards on everyday purchases? Are you looking for a credit card as unique as you are? If so, the BucksBack Platinum Edition Visa Card is the card for you. You can earn cash back and custom design your card. In this post, we'll cover the basics of the card and explain what makes it stand out. The BucksBack Platinum Edition Visa Card comes with a cash rebate program that rewards you for making everyday purchases with your card. Through the rewards program, you will earn one reward point for every dollar you spend on purchases. You will also get a $25 reward check or rebate directly deposited to your checking, savings, or credit card account for every $2,500 you make in purchases on the card. In addition, you will automatically receive a $10 reward check upon approval for the card and another $10 reward check when you make your first purchase. The BucksBack Platinum Edition Visa Card has much more to offer than just a cash back rewards program. For one, you will enjoy a 0% introductory APR on purchases for six months when you become a cardholder. The card has no annual fee and offers free online account management. You can pay your bill, view transactions, and view up to seven years of previous statements online. Another great feature of the BucksBack Platinum Edition Visa is that you can design your own card with an image of your choice. Using the One of a Card Visa program, you can scan or upload a photo from your library to be put on your credit card. That way, your credit card will be as unique as you are! You can proudly display your personality wherever you use your card. It's official, there is finally a credit card for the ultimate sports fan and the rewards are excellent. Visa is now offering the ESPN Total Access Visa Card with fantastic benefits that any cardholder will find useful. Show off your enthusiasm for sports with this incredible credit card offer. No annual fees, ESPN Total Access Rewards program, 0% APR for six months, and the list goes on. This card is issued by Washington Mutual for users with average credit scores. The benefits do not stop there, by possessing this card members will also be able to access ESPN's Sports Concierge Service. The ESPN Total Access program allows the cardholder to redeem points for many diverse rewards. Points can be redeemed for tickets and VIP access to sporting events, sports merchandise and collectibles, retail, dining, and travel rewards through the ESPN Total Access Rewards program. If you would like to earn rewards with your credit card but prefer not to carry a balance from month to month, the American Express Preferred Rewards Gold card can meet your needs. With this card, you will have access to the renowned American Express Membership Rewards program for no additional fee. In this post, we will explain the basics of the American Express Preferred Rewards Gold Card and what makes it unique. When you sign up for the American Express Preferred Rewards Gold card, you will have access to the Membership Rewards program for no additional fee. Through this program, you will earn one point for every dollar you spend on general purchases. You will also receive 10,000 bonus points automatically after you make your first purchase. You can redeem these points for a $100 gift card at participating merchants and retailers. You can redeem your points for a variety of rewards, including free airline travel on over 21 airlines. There is no limit on the amount of points you can earn, and your points never expire. The American Express Preferred Rewards Gold card does come with a $125 annual fee, but this fee is waived for the first year you are a cardholder. For additional cards, there is a $35 annual fee. As a cardholder, you will enjoy benefits such as travel accident insurance, purchase protection services, auto rental insurance, and discounts at participating merchants. The card also gives you access to Gold Card Events, meaning you will have exclusive access to tickets for certain concerts, sporting events, shows, and more. Do live in or frequently visit Los Angeles? Are you looking for a credit card with a great LA-based rewards program? If so, the IN:LA Card from American Express is for you. In this post, weâ€™ll tell you the basics of the card and what makes it unique. Through the IN:LA Card from American Express rewards program, you will earn one INSIDE rewards point for every dollar you spend on general purchases. You will earn two points for every dollar you spend on â€œCity Essentials,â€ which include gym memberships, movies, dining, cell phone services, newspaper and magazine subscriptions, and cable and dial-up ISP subscriptions. You can then redeem your points for experiences and benefits in LA, Chicago, and New York City. You can earn free hotel stays, airline travel, and dining. Your points will never expire and there is no annual limit to how many you can earn. Another impressive aspect of the rewards program is the Tuesdays IN:LA program. When you use your card at participating retailers, spas, and health clubs on Tuesdays, you will get 10% off your purchase. As a cardholder, you will also enjoy priority access to VIP rooms and clubs. The IN:LA Card can also help you save on things like concerts, museum memberships, and more. In addition to an excellent rewards program, the IN:LA Card from American Express also comes with an unbeatable 0% APR on purchases and balance transfers for the first six months. After that period expires, the card offers a competitive 11.24% variable interest rate. Cardholders will have access to a number of standard benefits, such as travel accident insurance, fraud protection services, and auto rental insurance. Thus, if you live in or visit Los Angeles frequently and plan to take advantage of the rewards program, the IN:LA Card from American Express is a wise choice. If youâ€™re looking for a credit card with an excellent cash-back rewards program, look no further. Learn more about the card Kiplingerâ€™s Personal Finance named the â€œbest cash-rebate card.â€ In this post, weâ€™ll explain the essentials of the Blue Cash from American Express card and tell you why it stands above the competition. The Blue Cash from American Express card is ideal for people with good or excellent credit who plan to take advantage of the cash rebate program. You will earn unlimited cash back savings on eligible purchases with your card. Through the cash rebate program, you will earn a cash reward that depends on the amount you spend per year. For general purchases, cardholders will earn a 1.5% rebate. For â€œeveryday purchasesâ€ made at supermarkets, gas stations, and drugstores, you will earn a rebate of up to 5%. This card comes with all the benefits and features you would expect from an American Express. The card comes with no annual fee and a competitive APR. For the first six months, you will enjoy an unbeatable 0% APR on purchases. If you submit balance transfers during the application process, you will also enjoy a 4.99% APR for the life of the loan. As a cardholder, you will have access to such services as the purchase protection plan, buyerâ€™s assurance plan, and up to $100,000 in travel accident insurance. Thus, if you plan to take advantage of the cash rebate program for â€œeveryday purchasesâ€ to earn the highest rebate, you will benefit considerably from the Blue Cash from American Express card. Want to combine all of your business-related expenses on one card? Would you like a business card with a great rebate program? If so, you should consider the Chase Business Cash Rewards Card. This card allows you to consolidate business expenses while also giving you the benefits of a rebate rewards program. In this post, weâ€™ll explain the basics of the Chase Business Cash Rewards Card and tell you how it stacks up against the competition. Thus, not all purchases will earn the 5% cash back rebate, but you will be able to earn unlimited rebates with the Chase Business Cash Rewards program. For every 5,000 points you earn, you have the option of receiving $50 or brand-name gift certificates. The Chase Business Cash Rewards Card comes with an unbeatable rewards program and so much more. Cardholders will also have access to benefits like purchase protection plans, travel accident insurance, and auto rental insurance. You also get a competitive 0% APR on balance transfers and purchases for the first fix months. The interest rate following the introductory period is on par for business rewards cards. You receive all of these benefits for no annual fee, which is rare among business credit cards. If you would like to consolidate business expenses and earn cash back, the Chase Business Cash Rewards Card is for you. Do you need a solid business credit card with a rewards program? Do you frequently shop at Amazon.com? If so, the Amazon.com Business Visa Card can offer you what you need. With this card, you earn points that you can redeem for purchases at Amazon.com. In this post, weâ€™ll tell you about the basics of the card and explain what makes it unique. Businesses that make frequent purchases on Amazon.com will benefit considerably from the Amazon.Com Business Visa Card. For no additional fee, you will have access to the Amazon.com rewards program. Through the program, you earn one point for every $1 spent on general purchases and three points for every $1 spent on Amazon.com purchases. After you earn 2,500 points, a $25 certificate will be issued for redemption toward purchases on Amazon.com. You also receive a generous 1,500 point bonus after you make your first purchase with the card. A solid all-around credit card, the Amazon.com Business Visa Card offers a rewards program and many other valuable features for no annual fee. For one, you will enjoy a 0% APR on purchases and balance transfers for the first six months. After that, you will pay a reasonable 16.74% variable APR. The Amazon.com Business Visa Card computes finance charges with â€œTwo Cycles Average Daily Balanceâ€ method, which means the card is best-suited for businesses who either donâ€™t carry revolving balances or whose balances are relatively small. Other features include auto rental insurance, travel accident insurance, and various travel and emergency assistance services. Thus, if your business tends to pay in full each month and frequently shops at Amazon.com, the Amazon.com Business Visa Card is a wise choice. The Advanta Platinum BusinessCard with Rewards lets you consolidate all of your business expenses onto one card while also allowing you to earn rebates and other rewards. If you are looking for a business card with competitive rates and an attractive rewards program, the Advanta Platinum BusinessCard with Rewards is for you. In this post, weâ€™ll give you the basics of the Advanta Platinum BusinessCard and explain how it stands out among its competitors. The Advanta Platinum BusinessCard with Rewards offers a cash rebate program. With this program, you earn a 5% cash rebate on purchases like fuel, computers, office supplies, electronics, online advertising services, and utilities and telecommunications. For all other purchases, you will earn a 1% cash rebate. After any billing cycle where your cash rebates reach $50, you will be issued a $50 check. A $300 annual limit exists on rebates, as well as a $25 monthly cap. Cardholders also have the option of choosing the regular rewards program instead. Through the rewards program, you earn one point for every dollar you spend. These points can be redeemed for travel rewards or pre-paid bonus cards. No limit exists on points, though they must be redeemed within three years. The Advanta Platinum BusinessCard with Rewards also comes with all the features you would expect from a platinum card. You will have access to itemized expense reports, auto rental insurance, extended warranty coverage, and free online account access. You will also enjoy generous discounts at select retailers and merchants. The Advanta Platinum BusinessCard boasts incredibly competitive rates. You enjoy a 0% APR on balance transfers for a full 16 months. The purchase APR is a low 7.99%. For business owners who carry a balance occasionally, this card is a perfect match. If you would like to earn free hotel stays, airline travel, and car rentals by using your credit card, the Chase TravelPlus Visa Card is perfect for you. The Chase TravelPlus Visa Card offers all the benefits of a traditional credit card in addition to an unbeatable travel reward program. In this post, weâ€™ll explain the basics of the card and what makes it stand out among the competition. The Chase TravelPlus Visa Card offers one of the industryâ€™s best travel reward programs. Through the program, you will earn two miles for every dollar you spend on travel purchases and one mile for every dollar you spend on general purchases. You can redeem these miles for free airline travel, car rentals, hotel stays, retail gift certificates, and more. There are no limits on the amount of miles you can earn. The Chase TravelPlus Visa Card reward program also has no blackout dates or seat restrictions. In addition to the terrific travel reward program, the Chase TravelPlus Visa Card also offers a plethora of cardholder benefits. Such benefits include up to $1,000,000 in travel accident insurance, travel and emergency assistance services, and auto rental insurance. You will also enjoy an attractive 0% APR on purchases and balance transfers for the first 12 months you are a cardholder. The APR after the introductory offer is reasonable for a travel reward card. Though the card itself has no annual fee, you must pay a $29 annual fee to participate in the rewards program. This fee is exceptionally low when compared with those of other travel reward cards. If you have very good credit and would like a credit card with a cash-back rewards program, you should consider the Total Merrill Cash Back Visa card. The Total Merrill Cash Back Visa gives customers the choice of receiving cash back or having deposits made automatically to a Merrill Lynch account. In this post, weâ€™ll explain the basics of the Total Merrill Visa and what makes it stand out among the competition. Through the Total Merrill Cash Back Visa card reward program, cardholders earn one credit for every dollar spent on almost all purchases. As your credits accumulate, you have the option of receiving a cash reward check or having the credits deposited directly into your Merrill Lynch Cash Management Account or Beyond Banking account after you earn 5,000 credits. There are no limits on the number of credits you can earn. However, cash reward checks expire 90 days after they are issued. The Total Merrill Cash Back Visa also comes with an attractive 1.99% APR on balance transfers for the first 12 months. This rate also applies to cash advances during the first 12 months. The regular APR is a fixed, competitive rate of 9.99%. The low purchase APR will save cardholders who carry a balance a substantial amount of money on interest. Thus, if you have very good credit, intend to take advantage of the cash rebate program, and occasionally carry a balance, the Total Merrill Cash Back Visa card is an excellent choice. Do you shop frequently at Pier 1? Would you like a credit card with competitive rates and a great rewards program? If so, the Pier 1 Rewards MasterCard is the card for you. In this post, weâ€™ll cover the basics of the Pier 1 MasterCard and tell you what makes it unique. With the Pier 1 Rewards MasterCard, you can earn four points for every dollar you spend on purchases at Pier 1. For other purchases, you will earn one point for every dollar spent. Once you earn 2,000 points, you will be issued a $20 rewards certificate for use on purchases at Pier 1 Imports. You will also receive a 20% off coupon with your reward certificate. You can earn up to 40,000 rewards points annually, and reward certificates expire after 90 days. Therefore, this card is ideal for those who shop frequently at Pier 1 Imports, as they will earn additional rewards points for their purchases. The Pier 1 Rewards MasterCard comes with a very attractive 0% introductory APR on purchases and balance transfers for six months. The card comes with a reasonable 14.49% regular variable APR. Cardholders can also access and manage their accounts for free online. Pier 1 Rewards MasterCard holders enjoy members-only savings and discounts at Pier 1 all year long. This card is a great option for those who have very good credit, plan to take advantage of the introductory offers, and shop frequently at Pier 1. The Continental Airlines Business MasterCard is a great card for business people who would like to earn free business travel and regularly fly Continental Airlines. With the Continental Airlines Business MasterCard, business travelers can earn free flights on Continental Airlines for business-related expenses. In this post, weâ€™ll give you the basics of the Continental Airlines Business MasterCard and explain what makes it unique. Through the rewards program, you can earn one mile for every dollar you spend. For ticket purchases directly through Continental and purchases made at participating restaurants and retailers, cardholders earn double miles. Across the U.S. and Canada, there are over 10,000 restaurants at which cardholders can earn double miles. Cardholders can earn triple miles at participating retailers once they register at onepass.rewardsnetwork.com. On top of this, you will earn 20,000 bonus miles upon making your first purchase. Your miles will never expire, and there is no limit to the amount of miles you can earn. Miles may be redeemed for free business travel with Continental and participating airline partners. Besides the rewards program, cardholders will also have access to services like travel accident insurance, auto rental insurance, extended warranties, and consolidated expenses statements. You will enjoy all of these benefits for a competitive $85 annual fee. Additional cardholders may be added for a $20 annual fee per cardholder. The APR is slightly above average for this card, which makes it best suited for business people who do not carry a revolving balance. If you are a business owner looking for a card capable of handling all of your expenses, look no further. The Advanta Life of Balance Platinum Card gives you the convenience of managing your business expenses all on one card, in addition to the benefits of a cash-back rewards program. In this post, weâ€™ll cover the basics of the Advanta Life of Balance Platinum Card and what makes it unique. The Advanta Life of Balance Platinum card is ideal for business owners who are tired of juggling business expenses across multiple credit cards. The Advanta Life of Balance Platinum allows you to consolidate your business expenses on one card, while also enjoying the benefits of a generous cash-back rewards program. Best of all, the rewards program can be customized to fit your individual needs. You have the ability to choose the spending category in which you will earn up to 6% cash-back rewards. Some of your choices include fuel expenses, office supplies, restaurant spending, building supplies, and utilities/telecommunications. For purchases outside of this category, you earn 2% cash back. You will receive a check every time you accrue $50 in cash rebates, and there is no limit to the amount of rebates you can earn. Alternatively, Advanta Life of Balance Platinum cardholders also have the option to choose the travel rewards program. Aside from the unbeatable rewards program, the Advanta Life of Balance Platinum is a solid business credit card. You will enjoy a low 2.99% balance transfer APR for balances submitted during the first three months of becoming a cardholder. You will also receive a competitive 9.99% APR on purchases. Cardholders have access to online account services, personalized business checks, and generous discounts through participating merchants and retailers. Would you like to earn free travel with your business credit card? Do you frequently travel with United? If so, the United Mileage Plus Platinum Business Card is just what youâ€™re looking for. With this card, you earn free miles on United Airlines just for using your credit card. In this post, weâ€™ll tell you some basic information about the United Mileage Plus Platinum Business Card and explain why itâ€™s one of the best of its kind. With the United Mileage Plus Platinum Business card, you can redeem the points you earn for free travel on United Airlines. Through this program, you will earn two miles per dollar spent on United purchases and one mile per dollar on all other purchases. You receive a generous 17,500 mile bonus after your first purchase. You can also earn bonus miles with purchases at participating restaurants. In addition, you will receive a $25 United discount travel certificate and a free, one-way, 1000-mile, one-class upgrade certificate after your first purchase. Though the United Mileage Plus Platinum Business Card imposes a 150,000 mile annual limit on the rewards you can earn, there are exceptions to this rule. For instance, Mileage Plus Premier, Premier Executive, and Premier Executive 1K members are exempt from the mileage limit. Your miles will never expire as long as you earn or redeem your miles at least once every three years. For a travel rewards card, the United Mileage Plus Platinum Business Card offers a very reasonable annual fee of $75, which is reduced to $25 for each additional cardholder. The interest rate is about average when compared with those of other travel rewards business cards. The card also comes with a substantial number of platinum benefits, including travel accident insurance, auto rental insurance, and up to $3,000 in lost luggage insurance. If you have good credit and frequent Speedway SuperAmerica stores, the Speedway SuperAmerica Platinum MasterCard is a great card that will save you money. You can use your rebates toward free purchases at Speedway SuperAmerica or other attractive rewards. In this post, weâ€™ll give you some basic information about the Speedway SuperAmerica Platinum MasterCard and explain what makes it stand out among the competition. The Speedway SuperAmerica Platinum MasterCard offers a point-based rewards program. Through the program, you will earn 40 points for every dollar you spend at SuperAmerica and Speedway stores. For all other purchases, you will earn 10 points per dollar. You can redeem your points for free gas or for gift certificates to participating businesses, like Applebeeâ€™s, Blockbuster, and more. After you make your first purchase, you will earn 10,000 bonus points, and there is no annual limit to how many points you can earn. As a cardholder, you will enjoy many benefits beyond the excellent rewards program. For the first six months, you can take advantage of a 0% balance transfer offer. You also have access to the rewards program for absolutely no annual fee. You can also expect traditional platinum benefits from the Speedway SuperAmerica Platinum MasterCard, such as auto rental insurance, purchase protection plans, and travel accident insurance. This card is best-suited for people who plan to use the rewards program, have very good credit, and will take advantage of the balance transfer offer. Would you like to earn free gasoline? Do you frequent BP gas stations? If so, the BP Visa Rewards Card is the perfect card for you. When you use your card, you will earn rebates that you can apply toward free fuel at BP. In this post, weâ€™ll give you some basic information about the BP Visa Rewards Card and tell you how it stacks up against other gas cards. The BP Visa Rewards Card comes with a rebate program at no extra cost. Through this program, you will earn rebates that can be redeemed for free gasoline at BP stations. During your first two billing cycles, you will earn an unbeatable 10% rebate on purchases at BP stations; a 4% rebate on airline, car rental, hotel, and dining purchases; and a 2% rebate on all other purchases. Once this initial offer expires, you will receive a 5% rebate on BP purchases; a 2% rebate on dining, airline, car rental, and lodging purchases; and a 1% rebate on all other purchases. For every $25 in rebates you earn, you have the option of redeeming them for a BP gift card, a cash back check, or a donation to The Conservation Fund. If you have good credit and plan to take advantage of the rebate program, the BP Visa Rewards Card is a great all-around card to have. Aside from the rewards program, you will also enjoy platinum benefits like travel accident insurance, travel and emergency assistance services, and auto rental insurance. Additionally, for the first six months, you receive a 0% APR on balance transfers. Cardholders also have access to various online account management services with the BP Visa Rewards Card. And, unlike many other gas rebate cards, the BP Visa Rewards Card gives you all of this for no annual fee. Go green with the GE Money Earth Rewards MasterCard. You can help clean up the environment just by using your GE Money Earth Rewards card. Not to mention you will also get a great credit card with competitive terms and rates. In this post, we will cover the basics of the GE Money Earth Rewards MasterCard and explain what makes it unique. Through the GE Money Earth Rewards program, cardholders can earn rebates that will be automatically contributed to emission reduction projects. You will earn a 1% rebate on all of your purchases, and this rebate will be donated to emission reduction programs. Such programs work to reduce greenhouse gas emissions. You also have the option of donating a 0.5% rebate to emission reduction and receiving the other 0.5% in cash rebates in your monthly statement. If you are environmentally-conscious, the GE Money Earth Rewards MasterCard is ideal. The GE Money Earth Rewards MasterCard has much to offer beyond the rebate program. In addition to helping reduce emissions, your card will also come with a 0% APR on purchases for the first six months. After that, your APR will be a competitively low 12.99% variable rate. Your regular APR will be based on the highest Prime Rate over a three-month period. With the GE Money Earth Rewards MasterCard, you will also enjoy free Internet account management services, zero liability for unauthorized transactions, and stolen/lost card reporting. If you would like access to the American Express rewards program but would still like the option of carrying a balance month-to-month, Blue from American Express can give you the best of both worlds. Blue is a different type of American Express card that comes with all the benefits of an Amex without having to pay your balance off in full each month. In this post, weâ€™ll tell you about Blue from American Express and what makes it stand out from its competitors. With Blue from American Express, you will have free access to the Membership Rewards Express Program, which allows you to earn points by using your card. You can redeem your points for a variety of products and services. The American Express rewards program is often lauded as one of the best in the industry because there are no limits or expiration dates on reward points. You will also be able to redeem your points for a staggering selection of rewards. Through the rewards program, cardholders also have the option of combining their rewards points with frequent flyer miles to earn travel rewards. Blue from American Express gives you more flexibility while still delivering all the traditional perks of an American Express card. For instance, you will have access to purchase protection, annual financial statements, travel and emergency assistance services, and auto rental insurance. Best of all, American Express Blue comes with an unbeatable 15-month, 0% APR offer on purchases. You will also enjoy a low 4.99% APR for the life of the loan on balances transferred during the application process. These low introductory rates make Blue a great card for those who intend to carry a balance. The APR after the introductory period is competitive. You can enjoy all of the benefits of Blue from American Express with no annual fee. Are you a business owner in need of a good cash-back rewards credit card? If so, look no further. The American Express SimplyCash Business card is ideal for business owners with very good credit who will take advantage of a great cash back rewards program. In this post, weâ€™ll give you all the information you need to know about the card and tell you why itâ€™s the best of its kind. For no additional cost and no annual fee, American Express SimplyCash business cardholders can access the cash rebate rewards program. This means you will earn a 5% cash rebate on gas, wireless services, and office supply purchases and a 1% rebate on all other purchases. Not only is there no limit to the amount of cash rebates you can earn, but they will also be automatically credited to your account each month. This card makes the most sense for business owners who plan to spend a considerable amount on fuel, wireless services, and office supplies in order to maximize the cash rebate. The appeal of the American Express SimplyCash Business Card extends far beyond the rewards program. For one, the card offers extremely low purchase and balance transfer APRâ€™s, especially during the introductory period. For business owners who tend to carry a balance month-to-month, this card lends itself well to that practice with a low 8.25% regular APR. A unique selling point of the Amex SimplyCash Business Card is that it has no annual fee, which is rare among cash rebate cards. Whatâ€™s more, cardholders will be privy to the traditional services offered to American Express customers, such as purchase protection, special discounts with retail partners, and travel accident insurance. If you are a business owner looking to save on your expenses with free travel through Delta airlines, the Gold Delta SkyMiles Business credit card is right for you. For businesses with good credit that travel frequently on Delta Airlines, there is no better card. The Gold Delta SkyMiles American Express offers all the world-class benefits of American Express and so much more. In this post, weâ€™ll give you the basics of the Gold Delta SkyMiles card and explain what makes it stand out from the competition. If you use Delta Airlines frequently for your business travels, the Delta SkyMiles Gold Business Card can help you save considerably on your expenses. You will receive one free mile for every dollar spent on regular purchases and two miles for ever dollar spent on Delta Airlines purchases, at gas stations, at supermarkets, the U.S. Postal Service, drugstores, home improvement stores, and wireless phone bills. Upon your first purchase, you receive 15,000 bonus miles. Once you reach $15,000 in annual purchases, you will receive a bonus of 5,000 miles, then again once you reach $25,000. You can also receive a bonus of 1,000 miles for each additional cardholder you add to the account, up to five total. As long as your account is active within the last two years, your miles will never expire. You have an annual limit of $100,000 in eligible spending. The Delta SkyMiles Business Gold American Express is much more than just a travel rewards business card. It also offers competitive terms, such as a 9.99% introductory balance transfer APR for the life of the balance in the first six months you are a cardholder Though the annual fee is $85, this is waived for the first year and will be reduced thereafter if you are a Gold, Executive, Platinum, or Centurion cardholder. The purchase APR is average and variable, so this card is best suited for businesses that do not carry revolving balances. Delta SkyMiles Business cardholders can also look forward to 5% savings on Delta flights purchased directly from Delta Airlines and a $99 companion certificate each year upon card renewal. Do you visit Wawa convenience stores and gas stations frequently? Would you like to save money on gas with your credit card? If so, the Chase Wawa Visa Card is the right card for you. The Wawa Visa credit card gives you rebates on your purchases at Wawa gas stations and other businesses so you can earn back some of the money you spend. This post explains the fundamentals of the Wawa Visa Card and why it is the best of its kind. The Wawa Visa Card is designed for people with average credit who frequent Wawa conveniences stores and gas stations, use their cards often, and intend to take advantage of the rewards program. Wawa Visa rewards are offered in the form of a rebate program. In the first 90 days, you earn a 10% rebate on Wawa purchases and a 2% rebate on other purchases. After the first 90 days, you earn a 4% on your Wawa purchases and 1% on other purchases. If you buy gas at Wawa frequently, the Wawa Visa is a great way to cut your fuel costs. In addition to an unbeatable rebate rewards program, the Chase Wawa Visa Card offers many other features for cardholders. You will have access to travel accident insurance, online account management, auto rental insurance, and purchase protection, to name a few. The Wawa Visa also looks out for its cardholders with zero liability on unauthorized transactions and emergency cash/card replacement services. On top of these perks, you will enjoy an attractive 0% balance transfer APR for the first six months and, for those who qualify, a purchase APR as low as 6.99%. This card offers these features with reasonable APRâ€™s for no annual fee. Start earning Wawa rebates nowâ€¦apply for a Wawa Visa Card today! Are you a business owner? Do you travel often? If so, the JetBlue Business Credit Card is just what youâ€™ve been looking for. The Business JetBlue Credit Card provides the necessity of a business credit card combined with the useful luxury of earning free flights. Here you will learn the basics of the JetBlue Card from American Express and why it is preferable to other airline reward cards. 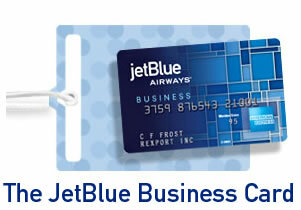 Once you are a JetBlue Business Card cardholder, you will quickly be on your way to earning free, round-trip flights. On the JetBlue reward program, for every dollar you spend on the card, you will earn one Award Dollar. You get double this amount, or two Award Dollars, for every dollar you spend on JetBlue flights, car rentals, office supplies/equipment, gas, and wireless phone charges. Two hundred Award Dollars equal one TrueBlue Point, and 100 TrueBlue Points get you a free round-trip flight. After you make your first purchase, you will earn a bonus of 5,000 Award Dollars, or 25 TrueBlue Points, and a $50 statement credit. Though there is no limit to the amount of Award Dollars that you can earn, TrueBlue Points do expire one year after they are earned if not redeemed. JetBlue Business Card cardholders are also privy to the traditional perks offered by American Express. These include emergency assistance, purchase protection, extended warranties, and travel accident insurance. The annual fee is very reasonable when compared with those of other airline reward credit cards. JetBlue Business offers cardholders the opportunity to transfer balances at the bargain APR of 3.99% for the first fix months. The APR after this period is variable and slightly above average, so this card would be ideal for someone who intends to pay off the balance each month. If you travel frequently and pay off your balance in full each month, the JetBlue Business Card from American Express is the card for you. Do you own a business? Would you like to earn great rewards while paying for your business expenses? If this sounds like you, then the American Express Business Gold Rewards card is the card for you. This post covers the basic information about this card and why it is an ideal card for business owners. For business owners with good credit who pay off their balances each month, the Rewards Business Gold card cannot be beat. The Gold Rewards Card allows you to accumulate rewards points for each dollar you spend on the card. The American Express Rewards Program is renowned as one of the best in the business for its flexibility and tremendous selection of services and merchandise for which members may redeem their points. The Gold Rewards Card by American Express makes it easier than any other card to accumulate reward points. Aside from the points you can earn with your spending, the American Express Gold Rewards card for businesses allows you to earn additional points for your patronage of selected merchants. And, when you sign up for the card, you get 25,000 bonus points to redeem for a round-trip domestic airline ticket, 5,000 bonus points after your first purchase, 5,000 bonus points for hitting $20,000 in spending, 20,000 bonus points for reaching $50,000 in spending, and 10,000 bonus points for renewing the card for a year. In fact, if you spend an average of $5,000 per month, you could earn up to 100,000 bonus points in just the first year! The benefits of having the Business Gold Rewards card even extend beyond the point redemption program. By being a cardholder, you can get discounts from American Express partners, including AT&T, Hertz, and FedEx. American Express also offers special services to cardholders, like auto rental insurance, purchase protection, emergency and travel assistance, and up to $100,000 in insurance against travel accidents. Are you looking for a cash back rewards program for people with average credit history? Your Credit Network has the right card for you - the No Hassle Classic Cash Rewards Card from Capital One Bank. This post will cover the basics of this No Hassle card and how its reward program is setup to help you earn cash back bonuses every time you shop. This is a No Hassle Cash Rebate Reward Program that You Will Want! Are you in the mood for a cash rewards card has all the perks? Then you are ready for this Capitol One card! It is easy to use, and it has a the highest, least restricted cash back program out of all of the cash rebate cards available. So letâ€™s recap. You do not have to pay any fees and you get a card that gives you great cash back rebates. Combine that with no expiration dates, and you can really see why this card is a No Hassle Classic. There is not even a limit to what you can earn in any given year! Now you can see why Capital One Cards are thought of so highly within the wide world of credit. Click here to view the rewards of the Capitol One No Hassle Classic Cash Rewards Credit Card. Get used to the comfort and ease that a Capital One No Hassle Classic Cash Card can bring. All you need is an average credit history and you to take a step back and appreciate the finer things in life, like easy-to-redeem cash rewards! Isnâ€™t it about time you get a rewards card that you wonâ€™t have to worry about? Start earning those great cash rebates right now! Click here to apply for the Capital One No Hassle Classic Cash Card. New to Your Credit Network is the Capital One No Hassle Premium Miles Rewards Card. This blog entry will explain the cardâ€™s basic features, its rewards program and how it compares to other credit cards with frequent flyer bonuses. The Capital One No Hassle Premium Miles Rewards Card has one of the best miles based rewards programs around. Cardholders can earn 1.25 miles for every dollar spent on any purchase. These miles are redeemable for flights on any airline and there are no blackout dates! Miles can also be redeemed for cash, merchandise and gift certificates. You can even donate the miles to charity if you choose to do so. The only drawback is that the miles canâ€™t be used in conjunction with frequent flyer mile accounts. Capitol One also includes benefits such as roadside assistance, extended warranties and travel accident insurance. The card is also one of the most accepted cards all over the world. Click here for more information on this great rewards program. The Capital One No Hassle Premium Miles Rewards Card may very well be the best airline rewards card on the market. The card is designed for those with excellent credit, and it offers the highest ratio of miles per dollar (1.25 to 1) of any other card on the market. It also has a reasonable APR and no annual fees. Have you ever had a credit card that offers you rewards miles, but then never lets you fly when you want to? Why should you have to fly at 2am on a Tuesday morning on a week that is not even close to any major holidays? No blackout dates for this card, fly wherever you want! This is an excellent card. New to Your Credit Network is the Capital One No Hassle Premium Cash Rewards Card. In this blog entry we will discuss the cardâ€™s basic features, its rewards program and how it stacks up when compared to other credit cards. The Capital One Premium Cash Rewards Credit Card offers a very solid rebate-based rewards program. You can get 1% cash back with every purchase you make, and you also get a 25% annual bonus on the cash rewards you have earned throughout the year. There is no limit on how much cash rewards you can earn and your cash rewards will never expire. The card also comes with no additional fees for purchases made outside the United States, travel accident insurance and 24 hour roadside assistance. Visit this page to find out more about the rewards program. If you fall into all these categories then you can get the Capitol One Premium Cash Rewards Card. Itâ€™s an excellent card with a low APR and no annual fee. Combine that with a good cash based rewards program and you have the makings of an excellent card for those with excellent credit. If you do not qualify for this card another good option for you is the Capital One No Hassle Standard Cash Rewards Card. It contains the exact same rewards program and is designed for those whose credit is less then excellent. Click here to apply for the Capital One No Hassle Premium Cash Rewards credit card. Are you in the middle of credit problems? Well if you are looking to get your credit back on track while earning great cash rewards, then Your Credit Network has the card for you. It is the No Hassle Standard Cash Rewards Card from Capital One Bank. This post will cover the basics of this rewards card and how its reward program is setup. No Hassle, Great Cash Rewards! Rewards are something that all of us want to earn, but depending on your credit condition these rewards may be just out of reach. Past or current credit troubles, in most cases, may completely deny any chance you have for a card with rewards. Cards you may be eligible for will often have high rates, and a lot of fees. Earning your cash back is something we all want to take full advantage of whenever we get the chance. Normally you would expect to pay high fees in your credit situation, but wouldn't you jump all over the chance to get these great rewards and only have to pay a $29 annual fee? Capital One has always prided itself on No Hassle, and that means they will not take your money at every turn. So if you have credit problems, and want to help yourself get back on track while earning great rewards, this is your card. You can get your rewards at anytime! They will not tell you when and where to spend your rebates. Plus, there are no expiration dates, so you will not feel rushed. Capital One Bank wants you to be aware of the comfort that come with owning a Capital One credit card. Even if your situation would generally call for something different, they will treat you the same. So if you have credit troubles, let those concerns be eased by the Capital One No Hassle Standard Cash Rewards credit card. You will find that this card is everything you want from a bad credit rewards card. Apply for this card today and start earning cash back rewards tomorrow! Click here to apply for the Capital One No Hassle Standard Cash Rewards Card. How Do I Redeem My NFL Extra Points Rewards? Visa has come out with a great way to show off your team spirit with the NFL Extra Points Visa Card. Not only can you show off your loyalty to a particular NFL team by having their logo on your card, but you can also earn rewards while doing so. The only problem is: How do you redeem those points? First let's take a quick look back at how the card works. For every dollar you spend using your Extra Points card from Visa, you get 1 point. These points can be used for a variety of things such as merchandise, collectibles, and once in a lifetime team experiences. Each reward is specific to the team of your choice. Your reward points are good for 5 years and there is no limit to how many points you can acquire. The team wants to show you that your faith in them is appreciated and needs to be rewarded. How Do I Redeem Those Points? First of all, do not go to the online NFL Shop, they will not accept rewards points and are not responsible for the redemption process. Some teams may have a web page on their main site about how to redeem these points, as well as a catalog of all the rewards that you can possibly achieve. For example, the Patriots rewards points can be redeemed here. This can often be found in their FAQs section. This also will be followed by a list of rules that you need to know about. You cannot transfer your points; you cannot buy points, and so on and so forth. But, the best way to redeem your points is to go to the NFL Extra Points catalog site. It is nicely set up for you to sign in using your credit card information, so that you can find out the rewards and then obtain them. The front page even tells you exactly how many points you need to have for the experience you want to be a part of. They have everything from shirts to jerseys to tickets available for you to choose from. To put it in simple terms, all you need to do is sign in to your account on the front page, and then search through the catalog for whatever you heart desires. You can even check your order status right on the page. It is set up very easy for you to follow! The success of this program is overwhelming, and you do not want to miss your opportunity to get once in a lifetime rewards. 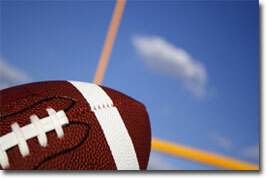 Go ahead and check out what the NFL Extra Points Visa card can do for you. Bank of America has done it again! New to Your Credit Network is the BoatU.S. Platinum Plus Visa Card - now there is a card out there for the boating enthusiast that offers some great features and unique perks. Do you enjoy hitting the seas on a beautiful day? Well now all you need is to bring your BoatUS credit card along with you. This card is designed for boaters who have great credit and love a credit card that gives back. Through the world points reward program card holders have the ability to earn one point for every dollar they spend on the card. These points may be used for some great things such as cash rebates, travel, merchandise, gift certificates, and more. Now as you are traveling from port to port you have the ability to rack up some great rewards. You do have to use the points up within 5 years after they are earned or else they will expire. So get on the main land and be prepared to use your rewards this great platinum plus card offers. Free Shipping on Your Order of $100 or More from Hammacher Schlemmer. Complimentary Champagne + Daily Breakfast at The Luxury Collection Hotels & Resorts. Onboard Credit of up to $200 on Oceania Cruises. 10% Off Your Order at Overstock.com. Check out the BoatU.S. Platinum Visa Card application page for more great perks offered. One of the best kept secrets about airline reward cards is the level of restrictions placed on a cardholderâ€™s ability to redeem their miles. While a person may rack up more points than they know what to do with, the point amount/value is useless to them unless they take the appropriate steps to get the most out of their reward program. The first and most common mistake made by most first-time airline point redeemers is the failure to allot adequate time for their credit card company to book a trip. Simply put, a cardholder may decide to take a trip to New York or Hawaii one morning only to discover that their points wonâ€™t allow for them to book a seat on such short notice. This usually happens because credit card companies and the airliners they partner up with agree to a certain number of seats on a flight that may be used for reward program users. In other words, a flight might only be at 50% capacity, but this doesnâ€™t change the fact that the airline will only allow 5% of the flight to purchase their tickets with miles earned from their rewards card. Allowing ample time for your trip ensures that you will be allowed to book your ticket with the points you worked so hard to earn; most credit card companies suggest that you plan at least 1 to 2 months in advance. If planning your trip in advance just isnâ€™t your style, you can take a different approach and use your points for less popular donations. While New York and Hawaii may sound like a nice getaway, you can bet that there are countless others with reward points just like you who have the same idea. Many of our clients have written in to share their success stories about redeeming their points to make much-needed family visits, middle-of-the-night business trips, or even spontaneous flights to â€œplaces I wouldnâ€™t visit normally but have always wanted to go.â€ If your schedule doesnâ€™t permit you to make plans 1-2 months in advance, then redeeming your airline points for trips to lesser trafficked areas is a sure fire way to get the most out of your reward program. More airline reward customers lose points or miles to expiration policies than do those who actually redeem the miles for airline tickets. In other words, customers become suddenly aware that their miles will expire in just a few weeks and will scramble to make plans to use their points lest they be lost forever. Since this scramble to use up the points will no doubt prove difficult when finding seats to desirable destinations (to say nothing about getting enough time off from work or other obligations) more people look back at their rewards program and wish they knew more details about when their points expire. Most cards have a 1-3 year expiration policy (this will vary from card to card) so you would be well advised to make a note to begin using up your points within that window. It's January, the traditional time for people to make resolutions for the upcoming year. Most people resolve to lose weight, exercise more, or finally take that trip to Europe. I can't recall the last time I heard someone make a resolution about their credit. Actually, I don't think I've ever heard anyone do that. Here are a few suggested resolutions for you. Pay down the balances on my high interest cards. Get my interest rate reduced. Transfer my balance to a better card if my current bank won't reduce my rate. Figure out if my rewards card really rewards me, and if it doesn't, switch to one that does. Use my credit cards responsibly. I could go on and on, but the list needs to end somewhere. Take the ones that apply to you. I just hope you're more successful at keeping them than most people are about the weight loss resolution.